JS Series Mixer Overload Test running—a four-step teaching-Zhengzhou Zhenheng Construction Equipment Co., Ltd. 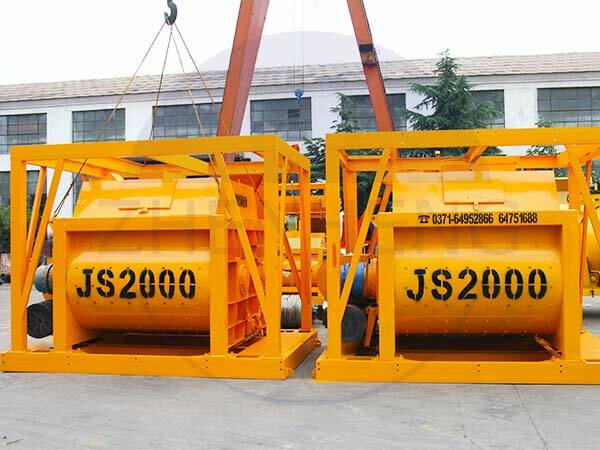 The first time while you receive the JS Series Concrete Mixer, what should you do? After you have done the NO- Loading Test Running, you have to do Overloading Test Running also. A Close discharge gate,start mixing motor running. B Charging to the hopper.loading capacity should be less than full capacity, according to 70 percent ratio of each ingredient feed mixture. C Loading is complete, start lifting hopper to the mixing drum feeding.When hopper to mixing drum discharge, immediately start the drain pump water to the mixing drum. D The first new machine overloaded commissioning mixing time should be more than 30 minutes. In the mixing process, if found abnormal noise and circumstances, should immediately stop check troubleshooting. Learning more about JS series Mixer, you are welcome to contact with us.